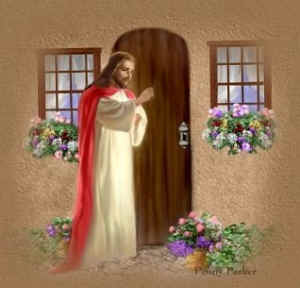 Christ is the gate and the door. Many have passed through this Gate before. Along life’s highway he leads the way. The path illuminated by a soft golden ray. Christ gently beacons us through. The gate and door swing wide. Enter the gate with confidence and prayer. It is wide open for evermore.